← 603 "Havana Wild Weekend"
"Dad Behavior" is the 8th episode of Season 28 and it aired on November 20, 2016. 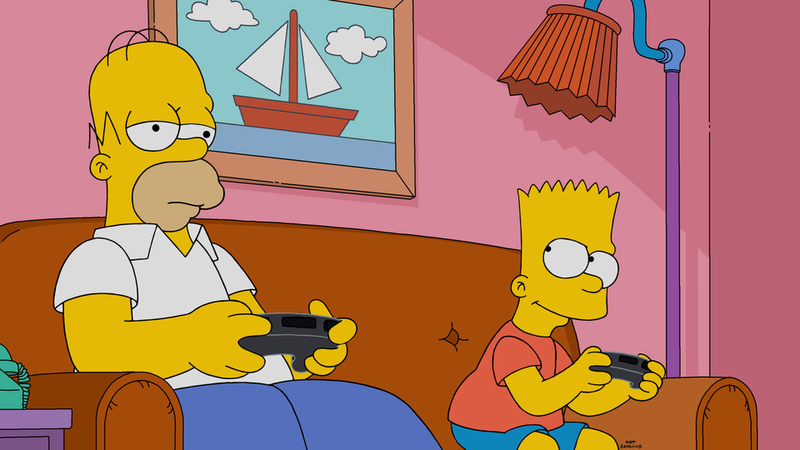 "Homer finds a new app that makes his life much easier and outsources his father-son bonding. 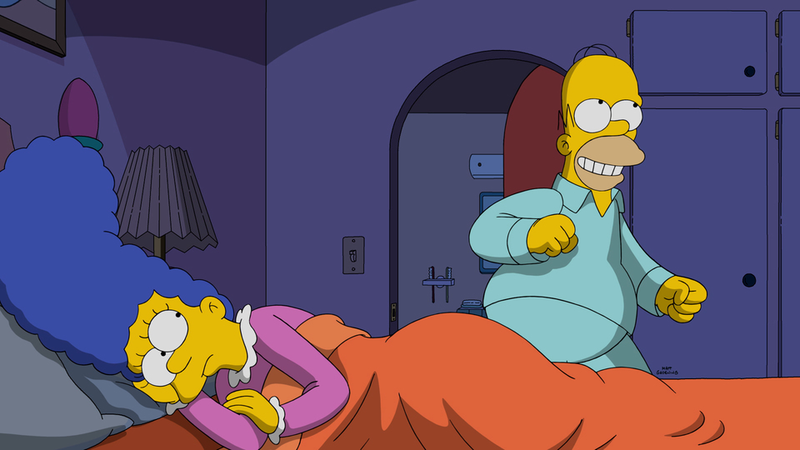 Meanwhile, Grampa finds that he is about to be a father again." Homer is watching TV when Marge arrives complaining about him not having assembled the media center, with the tv almost sliding off on top of Maggie. Marge convinces him but after building it, Homer gets stuck in it and swallows an allan wrench. After calling Barney for help, he starts using the app he suggested, ChoreMonkey, an app that calls for the help from people to do the chores. Homer becomes addicted to the app, and asks for people to do all his work around the house. Marge is angry at him but then after trying it with the help of Blake, a former hostage negotiator, she's convinced of its benefits. Homer hires Matt Leinart to play football with Bart, but Matt starts replacing him on his job as a father instead of helping him. Homer tries to get the help of his father at the Retirement Castle, but he's surprised he's got his girlfriend pregnant, thanks to their new access to internet and the dating apps. He was trying to leave town but his girlfriend come in and convinced him not to. Homer starts spending his time with Milhouse, while Bart finds out he's treating him nice only because it's his job, so he tries to get back with Homer, but he only wants to go out with Milhouse, so he goes to Kirk to do the same. 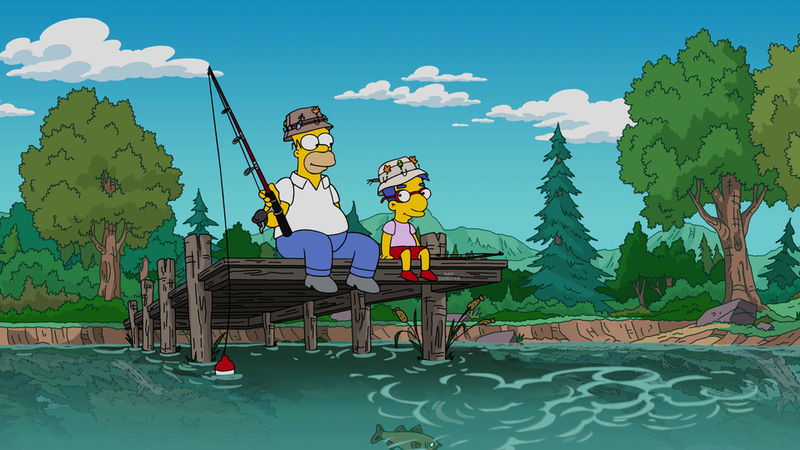 Marge goes for a walk in the park with Grampa, and he confesses that Simpsons' men are not good fathers, and they see Homer and Milhouse fishing at the pier. Back at home, Marge asks Homer what's happening and why he was fishing with Milhouse, and he says it's because Bart doesn't respect him as a father. Grampa goes to his girlfriend's house to live with her, but finds out that the ultrasound reveals that the baby was Jasper's, which makes him happy. At Itchy & Scratchy Land, Homer and Milhouse meet Kirk and Bart, Bart doesn't call Homer "dad" again, and a car chase between the two couples starts. When Kirk gives up and slams the brakes, Bart is launched at a sign. 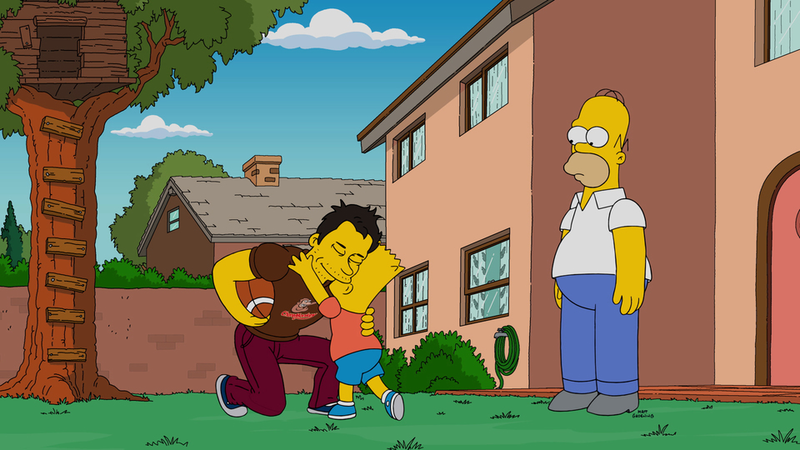 Homer stops to help him, and Bart finally calls him dad. Kirk and Milhouse reconcile too and they get back home on the cars. 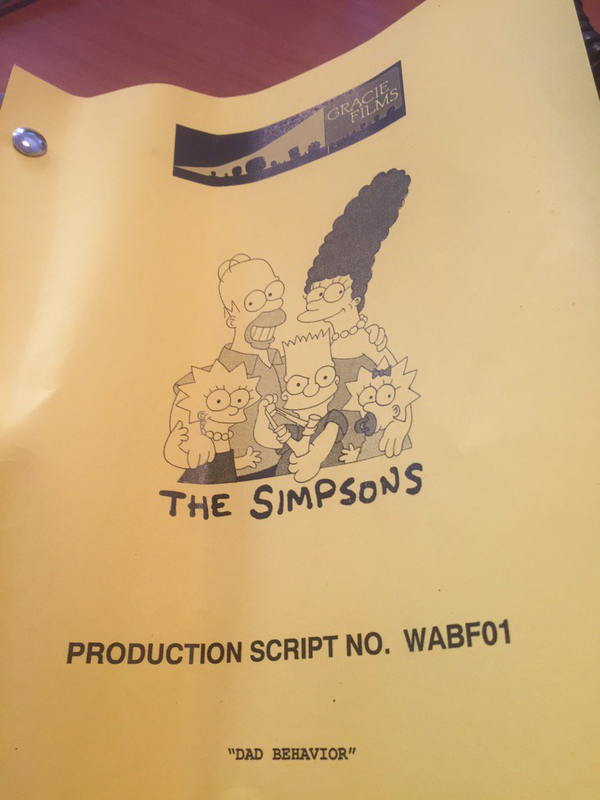 The episode ends with Blake trying, and failing, to convince Maggie to take her pacifier off, ending up sucking a pacifier himself, while Homer, Grampa and Bart sit on the couch happily watching baseball together. Modified on May 28, 2018, at 06:20.